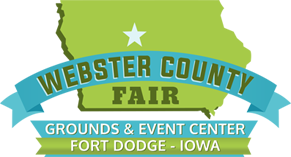 It goes without saying that the Webster County Fair is our annual display of Webster County's best, but that's not the only thing happening at our fairgrounds! We host activities throughout the year, including horse shows, rodeos and monthly Flea Markets. We've done the Bridal Show, Craft Shows, Dog Shows, Sports shows, Wedding receptions, business meetings, trainings and more..
Let us add your event to the list! Our facilities are available for rental for your show, meeting or special occasion. Need lots of room? Come out to the Fairgrounds! Large parking area. We offer Weekend and Weekday prices.